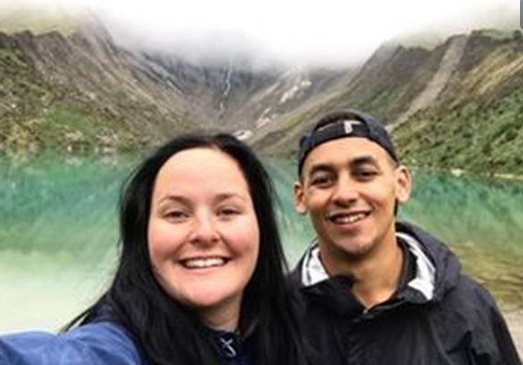 A New Zealand woman has shared her grief on social media after her longtime boyfriend died after falling 100m down Bolivia's "Death Road". Grimly known as "Death Road", Yungas Rd links La Paz, the capital, to Coroico and claims the lives of around 300 people each year. Vollenhoven died after falling down a cliff around 11.50am local time on January 22 (6.50pm January 23 NZT), in rainy conditions during a mountain bike tour. "My baby. My soulmate. My everything. 5 years were not enough but I will cherish every moment we had," Homan wrote on Instagram. "Fly high my angel, wait for me up there, I'll always be yours." "The Gravity guides went back up the road to look for him and identified where he had fallen off the road," he said. The 64km road winds through mountainous terrain with a vertical descent 3,600m and was created by Paraguayan prisoners in the 1930s. Matthew said the company was conducting its own investigation and co-operating with local and international authorities to uncover as many details as possible about the accident. Gravity Assisted Mountain Biking was established by Matthew in 1998. On Facebook, Homan said Vollenhoven was the "love of my life, my guardian angel." "I will always love you and always be yours. Rest In Peace my baby."